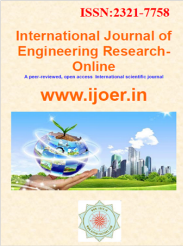 International Journal of Engineering Research – online (IJOER) is an international peer reviewed, open access, online bi-monthly journal in English for the enhancement of research in various discipline of Engineering, Science and Advanced Technology. IJOER is not limited to a specific aspect of engineering but is instead devoted to a wide range of subfields in the engineering and allied sciences. While it encourages a broad spectrum of contribution in the engineering sciences, its core interest lies in issues concerning material modeling and response. Articles of interdisciplinary nature are particularly welcome. 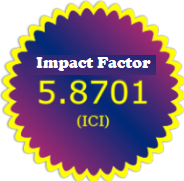 Key words: Engineering Journal, High Impact factor journal, International Journal of Engineering, Low Publication Charge, Free certifcate, Mechanical Engineering Journal, Computer science journal, Civil Engineering Journal, Electronics Journal, Electrical Engineering journal. We have provided the online access of all issues & papers to the all indexing agencies (as given on our journal home web site). It’s depend on indexing agencies when, how and what manner they can index or not. So, please neither sends any question nor expects any answer from us on the behalf of third party i.e. indexing agencies. Our role is just to provide the online access to them. So we do properly this and one can visit indexing agencies website to get the authentic information.